Charles Reese Debuts the James Baldwin Literary & Conversation Salon Series in London, UK. Although literature events, book slams and reading groups proliferate in London, the literary salon experience is a fairly new one in the capital [to this reviewer’s knowledge anyway]. It’s an innovation that in hands as capable as Charles Reese and Paulette Harris-German is certain to take off though. That’s because the intimate and minimalist Upper Parlour above The Mango Room Restaurant in tourist-magnet Camden Town is an ideal setting for Reese’s entertaining presence. And this whitewashed walls - adorned with art - and high-ceilinged space encourages the relaxed interaction the experienced performer thrives on. Introduced by the statuesque and elegant Harris-German of M.E.E. & The Village Productions International, co-producers of this UK premier with Dappers & Divas boutique, the enthusiastic audience members are here to learn about James Baldwin: A Soul on Fire. Written by the late Emmy Award nominee, poet and playwright, Howard B. Simon, the play, originally performed in New York in 1999, explores renowned writer Baldwin’s participation in the little heard of 1963 Secret Summit. That roundtable discussion saw Baldwin - together with African American intellectuals Lorraine Hansberry, Lena Horne, Harry Belafonte, Dr. Kenneth Clark, and Jerome Smith [a young freedom rider] discuss enduring United States racism with then Attorney General Robert F. Kennedy. Taking place three months before the March on Washington for Jobs and Freedom at which Martin Luther King delivered his now-famous ‘I have a dream speech’, Reese suggests that the meeting between these leaders and President John F Kennedy’s brother infused a reciprocal energy to the African American movement for human rights. It’s an energy the effervescent and gregarious actor embodies as - wearing a traditional two-piece West African inspired outfit - he recalled several significant events of that same year – the centenary of the US emancipation proclamation; Martin Luther King’s ‘dream’ speech; the Birmingham, Alabama church bombings in which four African American girls were murdered in a US-state sponsored terrorist attack [commemorated in Spike Lee’s moving documentary]; and the assassination of John F Kennedy. The articulate and self-assured Reese is confidence personified as - with his resonant baritone speaking voice – his relaxed preacher-style, which invigorates the audience. Demonstrating his natural charm and assured stage presence the well known thespian invites, and receives, a one word summation of his performance from all present. Each was positive and encouraging – and genuinely captured the mood of the evening. 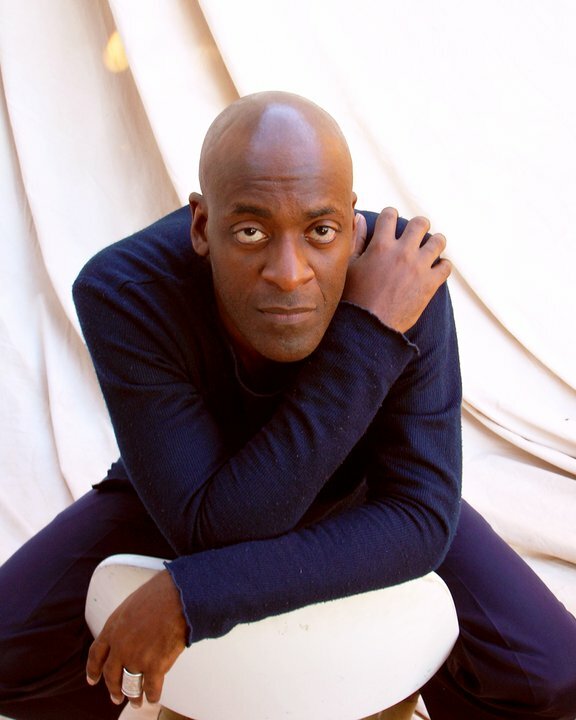 Bringing the story right up to date, and with a London link – Reese reminds us that Forrest McClendon - currently starring in the hit musical The Scottsboro Boys at the Garrick Theatre until February 2015 - played the role of Ethereal in the play - and also wrote an afterword for A Soul on Fire. Time: 6pm - 9pm. Admission: £ 3. Be sure to catch him. In one word – it’s captivating. You can also visit www.jamesbaldwinasoulonfire.com for more information on Reese (editor for the book), the play, and upcoming book salon events. James Baldwin: A Soul on Fire is available now in London, UK at Book and Kitchen in Ladbroke Grove. Shaun Ajamu Hutchinson is a London based arts editor, writer and journalist for www.thenewblackmagazine.com. He writes about political, social and cultural issues. Email:shaunhutchinson@thenewblackmagazine.com.